It's a necessary step to set a password on a word file if it was important for you. This will prevent the valuable data from being seen by others. What's to do if you just forgotten the password? This happens quite often because there are so many passwords we need to remember in nowadays, such as lockscreen passcode, admin password, bank password, website password, etc… It's pretty easy to mess up the password if you didn't write them down. And it would take a lot of time to try the possible password by yourself. Luckily, there are several ways you can restore the word password if you chose the right tool. If the password was set by yourself, then the first choice is to try all the passwords you could think up. There is no limitation on this. From a standard point, most of us only use a few password combinations for convenience, such as birthday, short names, pet name, etc... Or you can check whether you had already written it down on a paper or note app. Calm down and think it carefully. Don't expect to restore the password in the beginning. However, if you tried your best to do this and still didn't work, then you should have a look at the solution 2. When you are planning to find a valid solution via search engines, it ends up to scratch your head again as there are so many solutions available. You can't tell which is the best one. But you have no time to try them out one by one as it would take hours to know whether the method works or not. 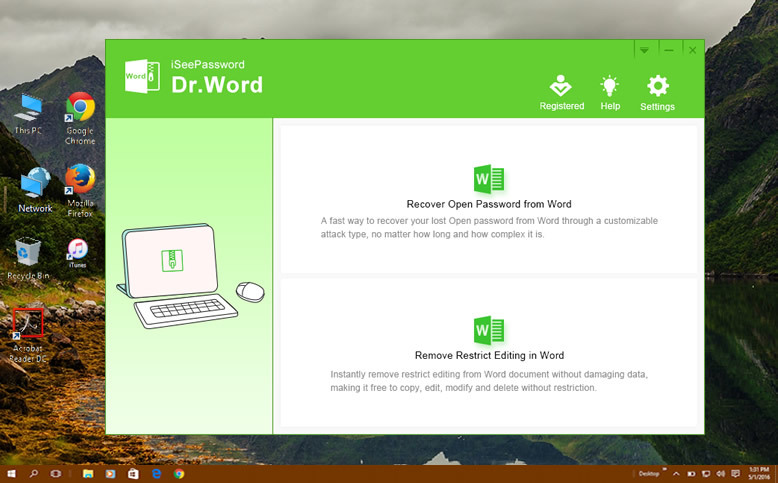 For me, Office Password Recovery is my favorite tool to restore forgotten password on office-based files, including Word, Excel and PowerPoint. I have successfully regained my lost password several times by using this program. What's more, the average time is much less than similar programs, which is largely due to its advanced password recovery algorithms. It is imperative that you have Office Password Recovery downloaded, installed and ready to start working with. This is the very useful tool that will help you in regaining the lost password . 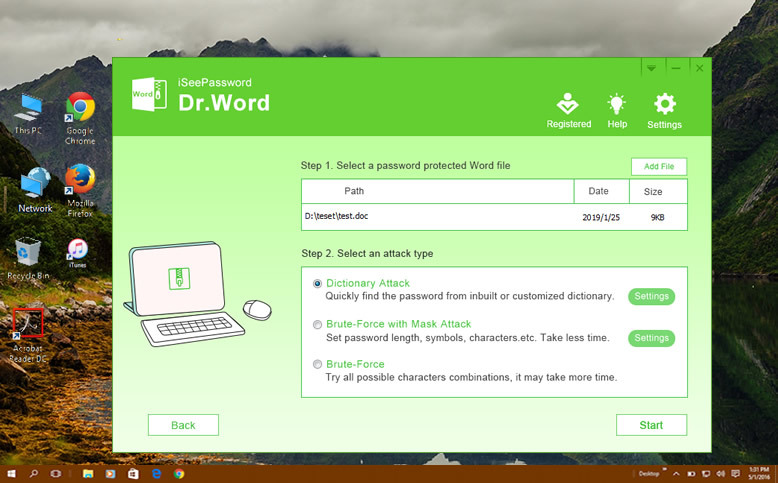 After installation, the first step is to click on "Add File" button and then select your locoked Word file that you want to recover the password. This tool provides 3 types of recovery options, which you can see under the Type of attack section from the main interface. Each one is designed for specific situation and each type of attack has additional settings to make the recovery process easier and quicker. 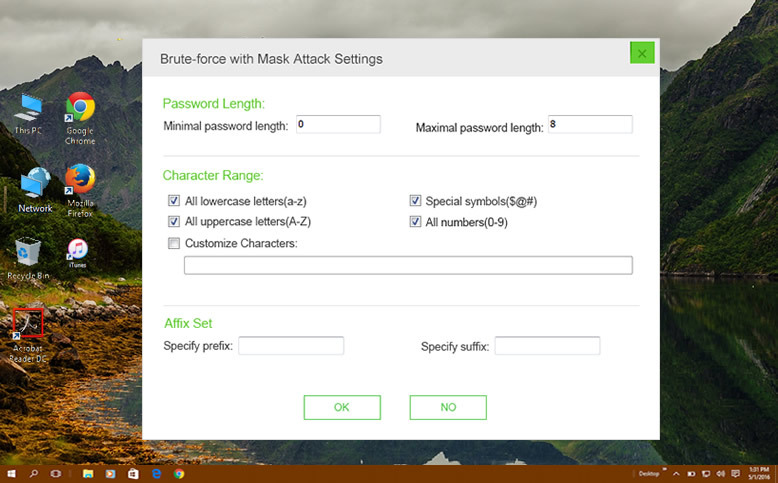 Brute force attack: Try out all the possible combinations of password and then try to crack it. Mask attack: Remembered if you have a part of password information such as password length, range, lowercase and uppercase letters, numerals, and special characters, then program could search your password in a fairly small range, this will greatly reduce time. Once all the settings are done then the tool will automatically try and recover the password from that word file. The required time is mainly depending on how complex the password is. Please don't shutdown or restart the computer during this process. When the password has been regained, you can copy it from the box and paste in the required dialogue box. With this, the file can be opened with the help of the original password. Therefore with these simple steps, you can easily assure that your password is being recovered and you will also not have to create a new set of codes. There is no password breaking or going through the several difficult and over the top steps. These instructions are clear and simple and thus pretty much easy for an average person with less technical knowledge as well to understand. 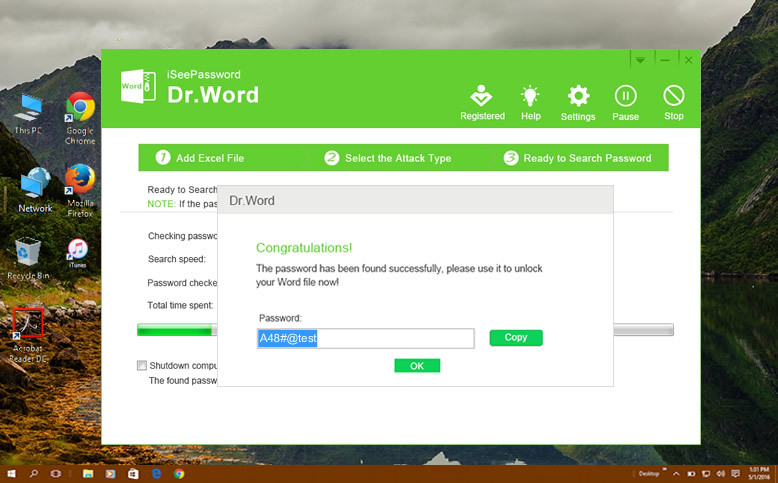 Thus when it comes to recovering the password then make sure that you use safe methods and ways with the help of this word password recovery tool. Vicky is a professional Windows technology author with many experience, focusing on computer technology. She's very much enjoy helping people find solutions to their problems. Her knowledge and passion always drive her to discover everything about technology.